Find out how to get your very first Sparrow in Destiny 2. If you recently started playing Destiny 2, you may find yourself wondering how to get your first Sparrow. 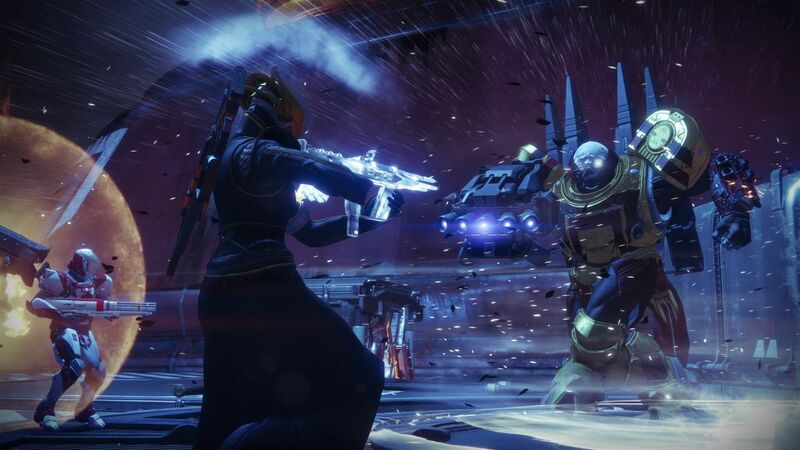 Unlike Destiny 2’s predecessor, players aren’t able to receive a Sparrow at the beginning of the game’s story mode. This has left Destiny 2 players scrambling to figure out the complicated requirements needed to get a Sparrow. To help make things a bit easier, we put together a comprehensive guide on how to get your first Sparrow in Destiny 2! You'll need to complete the main story campaign in Destiny 2 before you get your Sparrow. The process of getting your first Sparrow in Destiny 2 can be somewhat complex. First things first, you’ll need to complete the main story campaign in Destiny 2. This is pretty straightforward, although it will take you a bit of time to get from start to finish. As such, be prepared to spend several hours engrossed in Destiny 2’s fascinating campaign. Upon finishing Destiny 2’s main story campaign, you’ll need to work your way up to Level 20. Again, this is pretty straightforward. You’ll be able to increase your Level through campaign missions, participating in Crucible matches, Strikes, and by clearing out Uncharted Zones. Just keep grinding away, and eventually you’ll reach Level 20. Once you’re Level 20, the next step is to head back to Destiny 2’s Social Space and speak with Amanda Holliday. After a bit of dialogue, she’ll reward you for your efforts with your very first Sparrow. What’s nice is that you’re given three different Sparrow models to choose from. While their stats are the same across the board, they each have their own unique look. There you have it, all the steps needed to get your first Sparrow in Destiny 2. Which Sparrow design did you pick from Amanda Holliday? Post your Sparrow pics down in the comments below! By reading through this guide, you should now know how to get your first Sparrow in Destiny 2.